If you have ever had to make different kinds of documents before, then you may also have used templates to help with the task of writing. After all, there is no denying that such templates can contribute to your having an easier time of writing the documents. 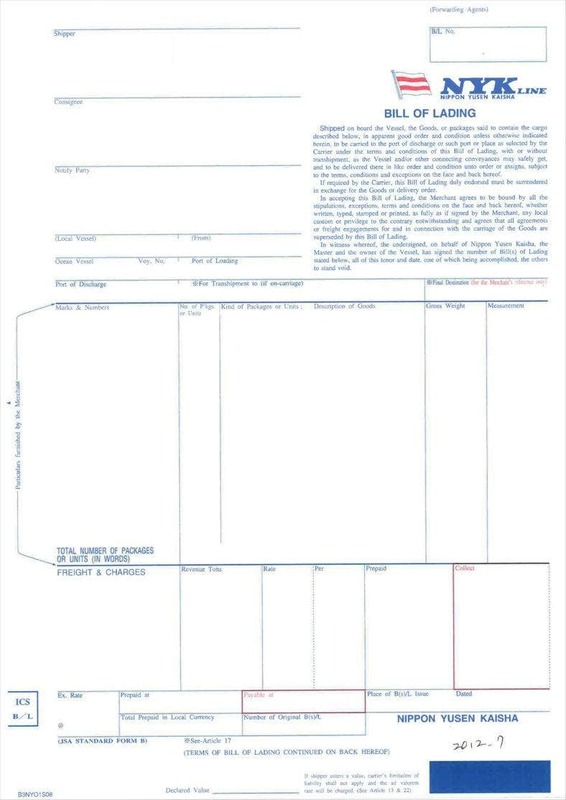 One example is that of blank bill of lading templates which you can use to make bills of lading to look after your items during delivery. Of course, if you do plan to use such templates to help with your work, then it also pays to have some awareness of how to use them properly. After all, if you are to use such tools to help you then it pays to know everything there is to know about them. If you wanted to make your bills of lading via Excel, for example, then it would only be logical to know how to create receipts in Excel. With that in mind, some of these insights should prove useful in helping you understand how these templates can work to your advantage. You may be familiar with how useful document templates can be for streamlining one’s workflows. This is especially true of Excel bill templates since you can save yourself the trouble of having to develop the format from scratch. You may also find other incentives to use these yourself, being that you should be able to find all conveniences by using such tools. One thing to note about templates is that they can be reused to suit different transactions, which would make them perfect tools for any business that has to deal with the delivery of items on a regular basis. If yours is a carrier business or something similar, then you should be able to find clear uses for a template on a regular basis. 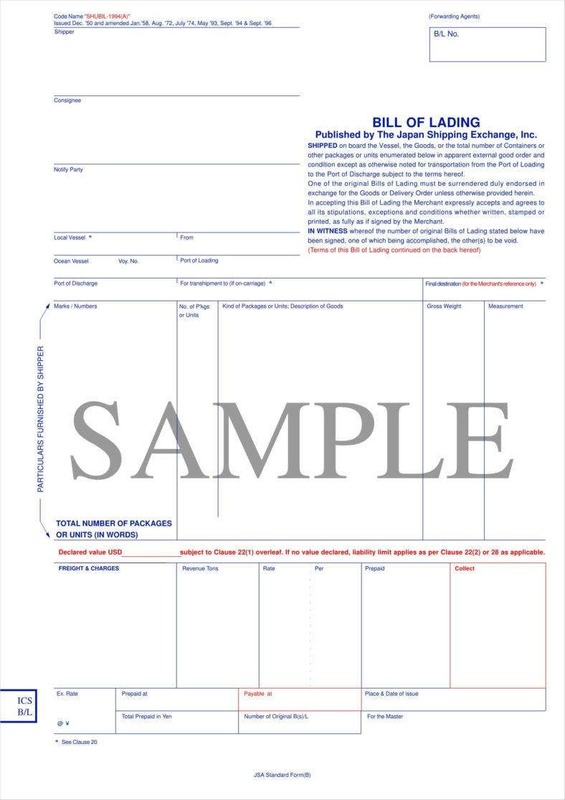 After all, using templates gives you a basic resource that you can call on each time you have to make a bill of lading. If you had some kind of system in place to regulate your workload, you could conceivably integrate your templates so as to improve the system’s flow and increase productivity. Templates can also naturally serve to save you time. Since you do not have to make all your bills of lading from scratch, this means that you should have to spend less time on each bill. This can free up more of your time, allowing you to get more work done in the same amount of time. 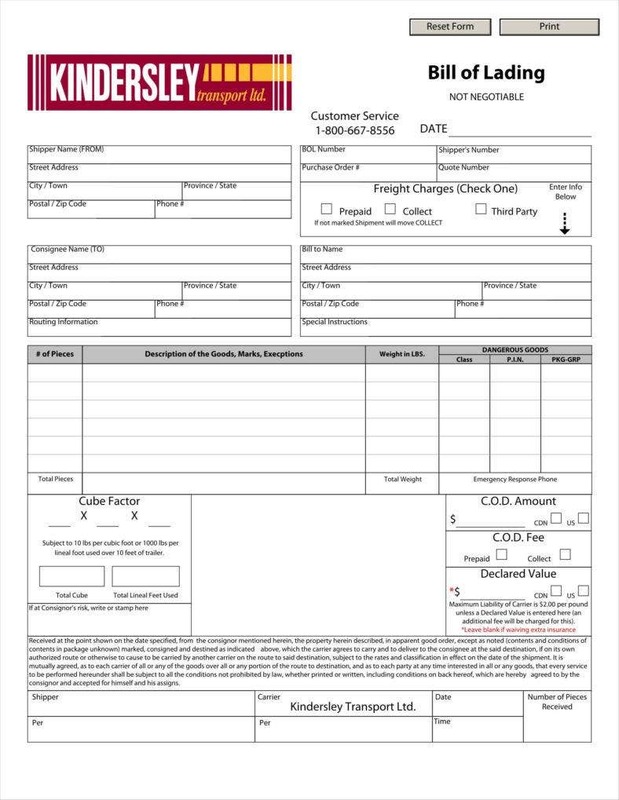 While bills of lading are an important resource for your work, there are other tasks that would demand your attention, hence the need for a tool that can provide shortcuts to streamline your work. This should also make it possible to make more bills of lading as needed, which would be especially useful for a courier company so as to ensure a steady supply as orders come in. 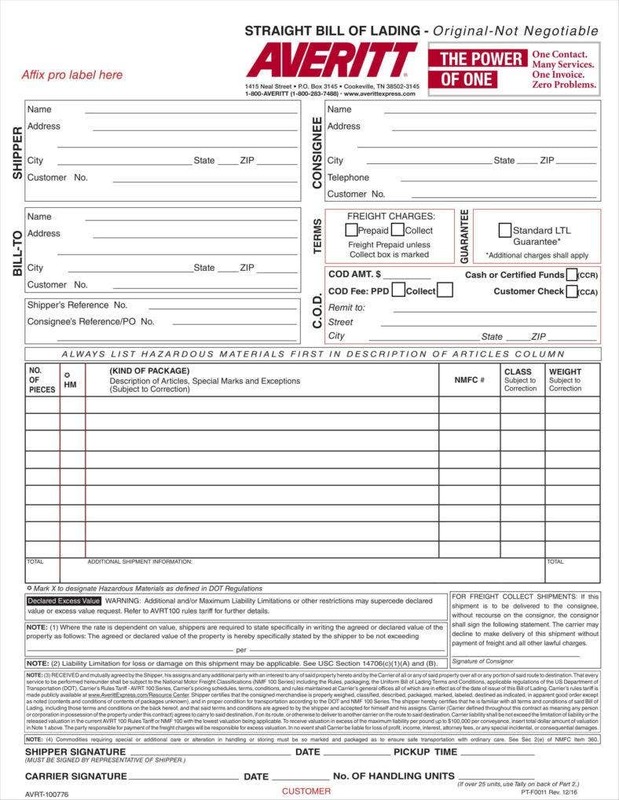 Your bill of lading templates is also fairly simple to use. After all, the template provides you with most of the important information by default, which should make it easier for you to do your work. After all, if you are to maximize the amount of work you can do at a time, it pays to have a tool that is easy to use. 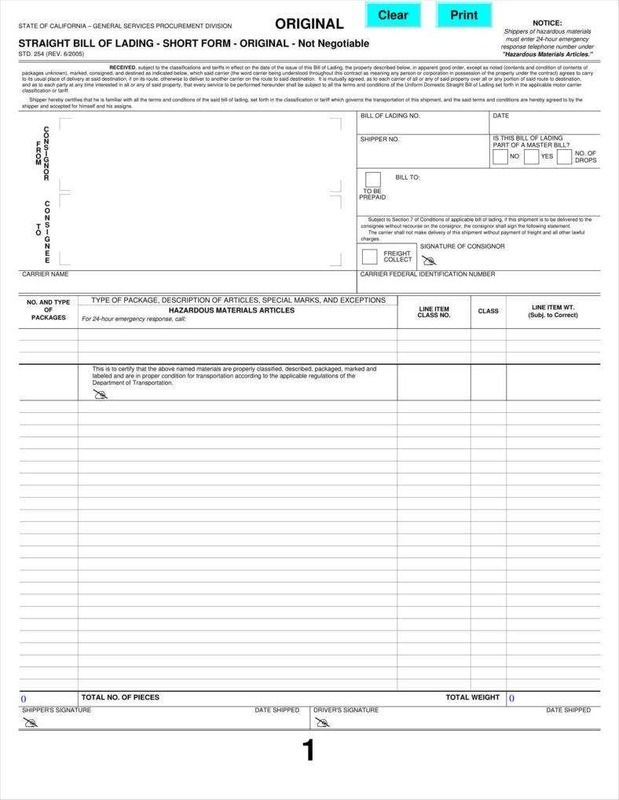 Using bill of lading templates can also serve to lessen the amount of time you would need for training since using the templates should allow relative newcomers to get up to speed more quickly. This simplicity also contributes to improving workflows since you should have fewer issues operating such a relatively simple tool. 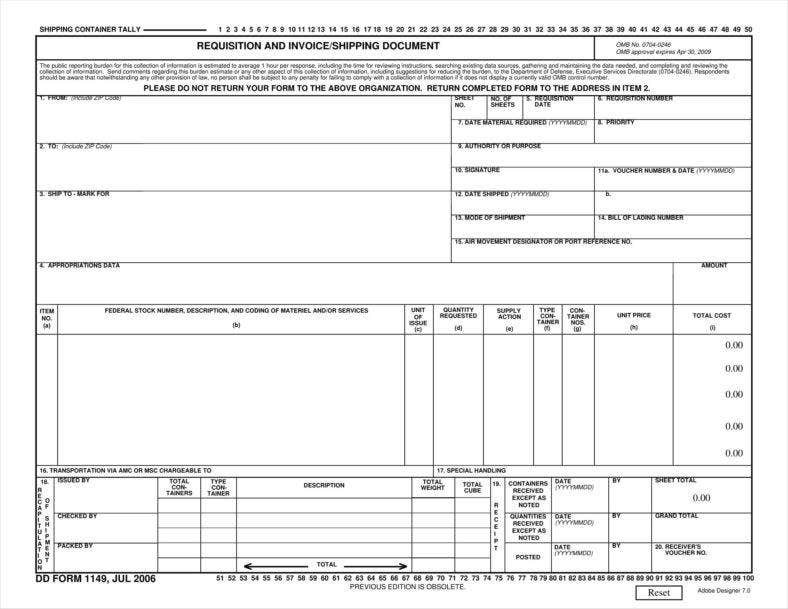 Bill of lading templates usually also include all the necessary fields for the finished bill. This can make it easier for you to maintain quality across all your different bills of lading since you are less likely to overlook any important fields. If you had to make the bill from scratch, then the possibility of your forgetting to add something increases. 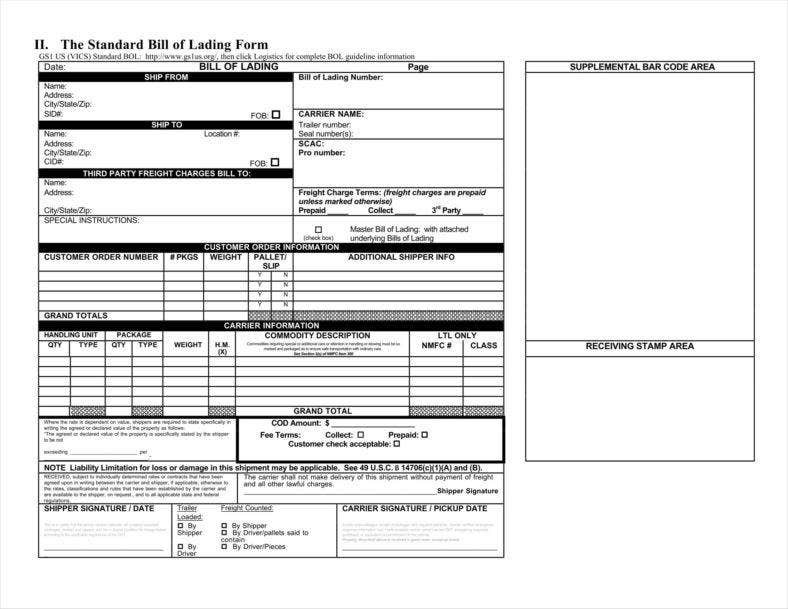 Thankfully, since a bill of lading template takes the fields into account for you, you need not worry about having to think of everything. At best, all you might have to do is modify the details of each bill of lading so that it corresponds to the current transaction. 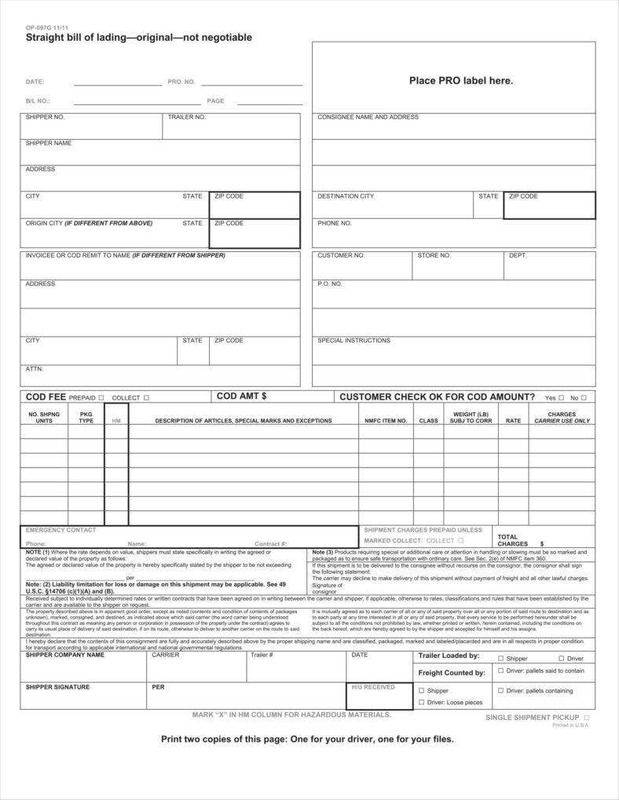 Speaking of modification, it is also fairly easy to customize each given bill of lading template so that you can tailor it to the specifics of each transaction. 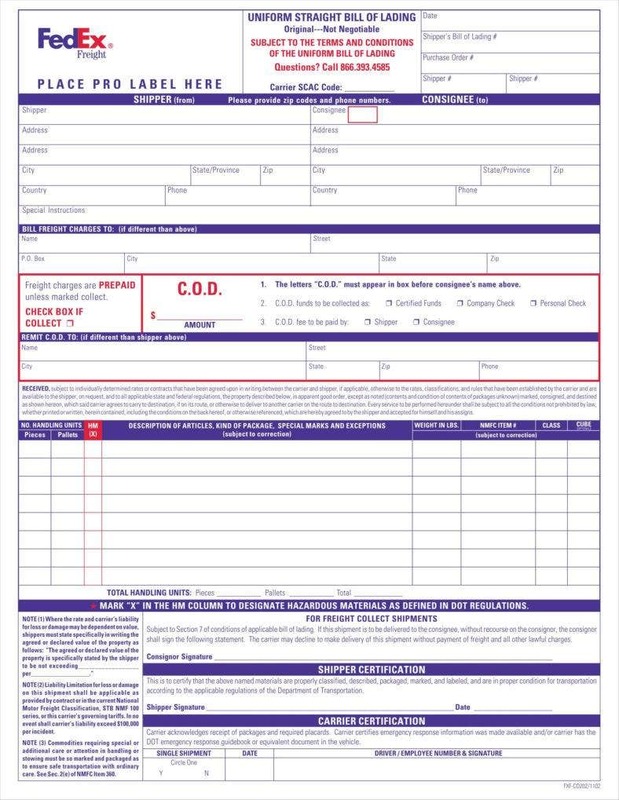 Like other templates for bills pertaining to transactions closely tied to specific details such as invoice receipt templates, it is important that you be able to customize the template so that the final product properly reflects what you would require from it. Another useful thing to take note of is that these templates can even be modified to reflect the specifics of your particular business. For example, if you happen to be part of a carrier business, or if your company routinely delivers its finished products to clients, then you could easily modify your templates so that the bills can represent the company properly. 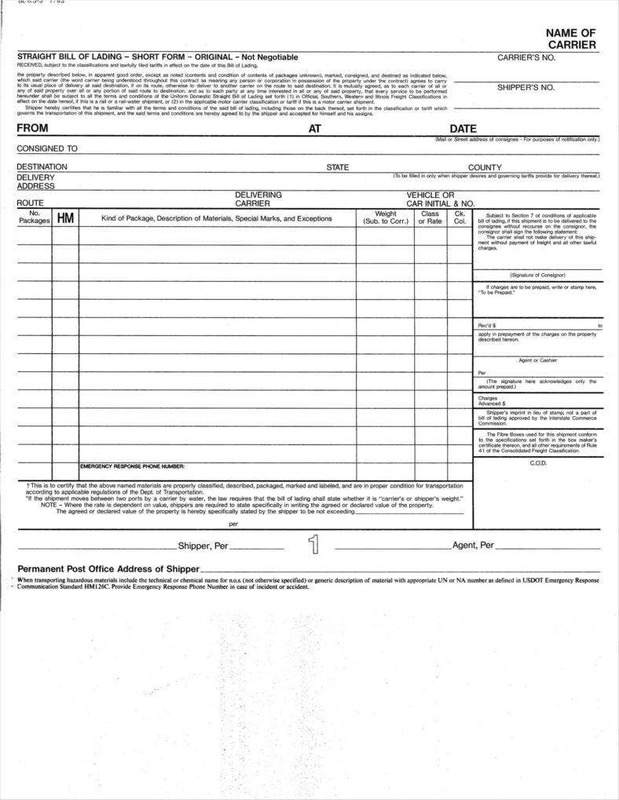 In the case of a bill of lading, it would be necessary for you to list important details of each transaction. As is the case with other kinds of bills, that might include the price so that the bill can also serve as a receipt of some kind. However, it is also important that your finished bill also include any other relevant details that would be important for transportation such as the weight of each item, quantity, and so on. These might be made more important if you were transporting delicate or sensitive materials as these could help make sure to keep the items as safe as possible. 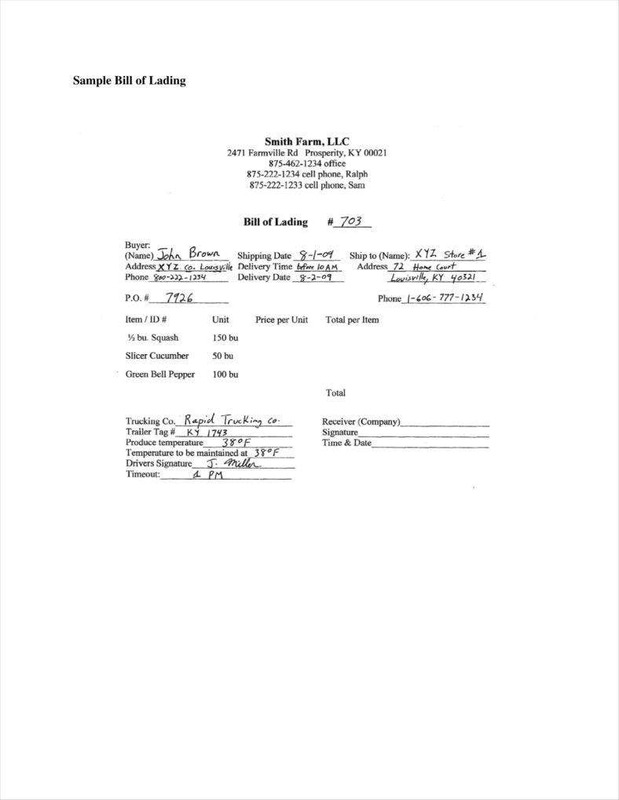 Another vital thing to understand concerning making and using your own bills of lading is what functions the bills are actually capable of. Fully understanding what a bill of lading is would require that you know what they can actually do. While this is true of any document, it is especially true of bills of lading since there are some specific tasks that bills of lading would have to fulfill that you should be aware of in order to make the most of them. 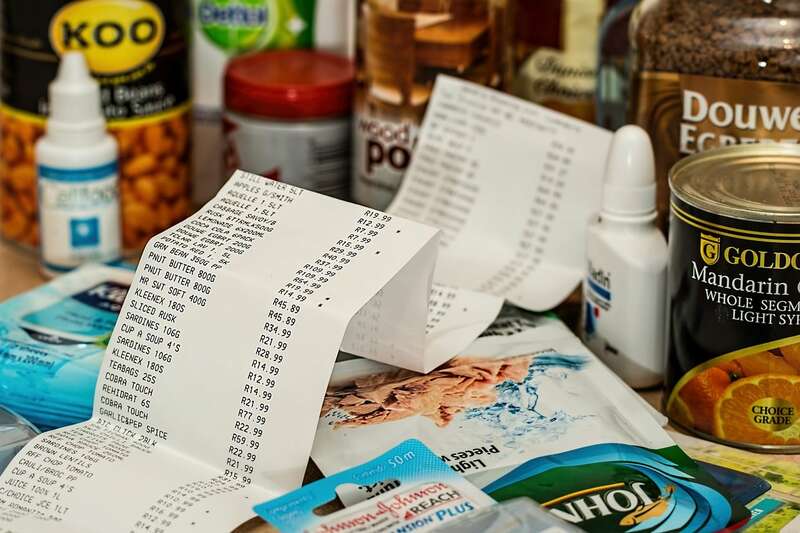 These bills, as is the case with other kinds of bills and receipts, are able to list all the items you happen to be carrying for any given transaction. This is important for obvious reasons such as making sure that all your items are accounted for, as well as allowing the final recipient to check that the entire order has come in. Of course, the bill would also have to include other elements related to the items proper, just as you might see in the case of a sample business bill of sale. 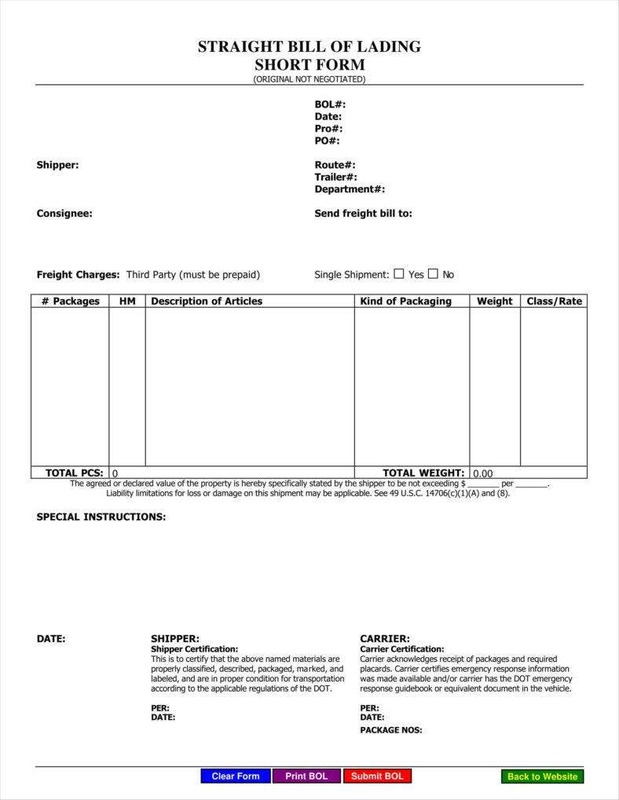 With respect to a bill of lading, some of these elements might include such things as weight, quantity, and even price if the bill is meant to serve as a receipt. 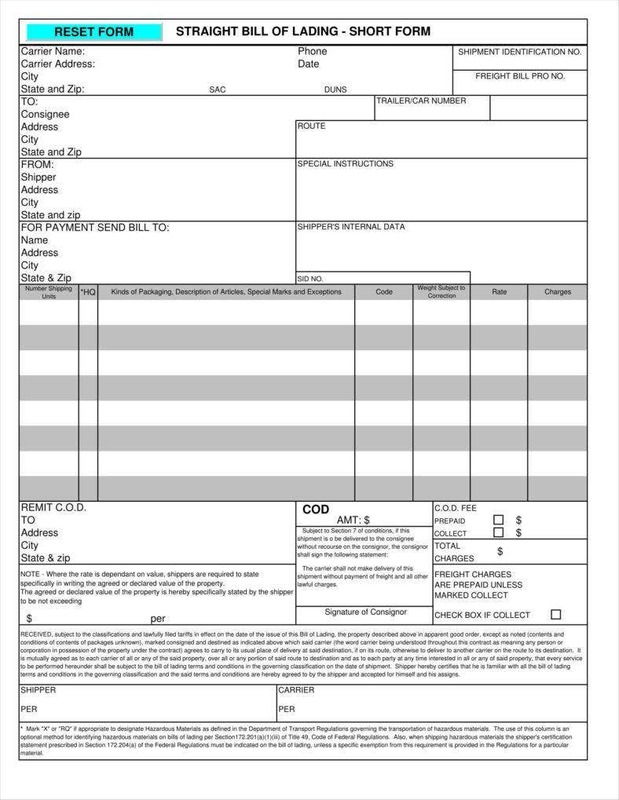 That a bill of lading can mention all these elements simply makes it easier for them to assist you in monitoring the order. Another vital function of any bill of lading is to enable different personnel to confirm and verify the order. The most visible aspect of this function is when the order finally makes it to the recipient, who would have to look at the bill to check that it corresponds to the order as it was placed. Of course, there are other parties who would be in a position to look at the bill themselves such as port and border authorities. This is important precisely because it allows the authorities to be sure that the items are not a hazard in any way. This also implies that the carrier would have an easier time ensuring that the items are being transported in such a way so as not to endanger people or the items themselves. Part of the verification process is comparing the bill with the products after they have been delivered. Since the bill can serve as a record, it should be a simple matter for the recipient to examine the items and compare them to the bill, making the task of verifying the order much simpler. 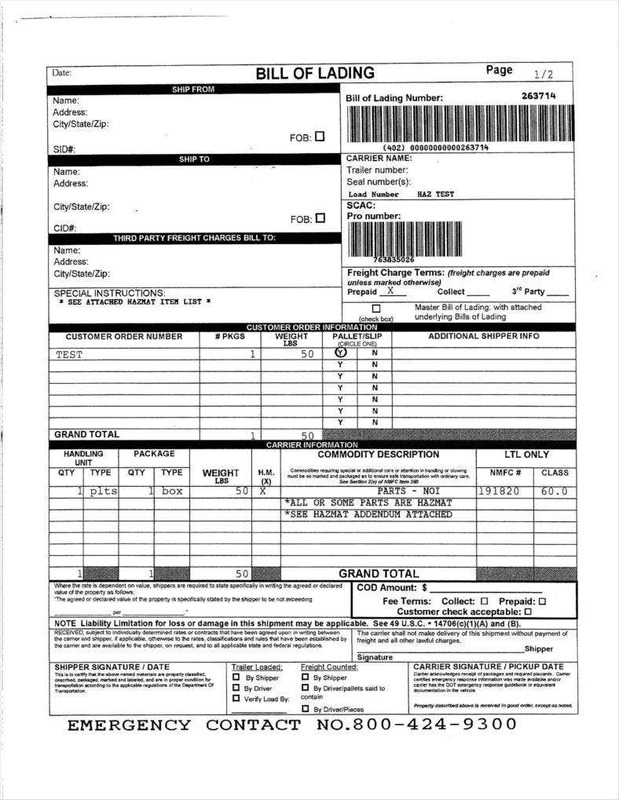 After all, one task of a bill of lading is to make it easier to catch any discrepancies. It should be a simple task to compare the bill of lading with the original purchase order to make absolutely certain that everything is in order. 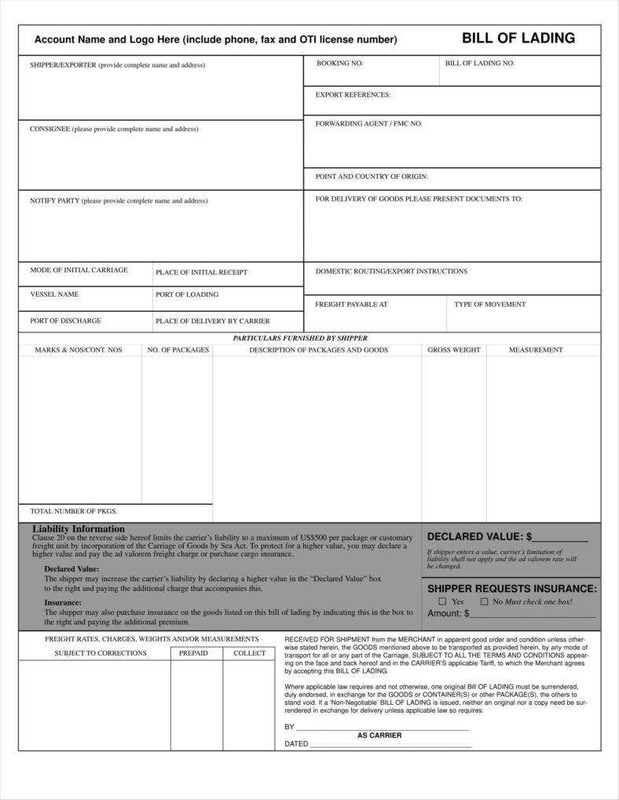 Other than verifying the order when it arrives, the existence of the bill of lading makes it easier to check that the items are all accounted for. Should anything go missing, the bill should make it possible to see where that might have happened. Indeed, transport receipt templates can serve to make it easier to be aware of where items are at any given time. Since carriers would have to show the bill at every step, this makes it easier for all parties to keep a close watch on all the items being delivered. Like any other kind of document, you can expect that these bills may be saved for future use in the sense that they may serve as records of the transactions. While clients may dispose of their copies, as a career you would keep your own records of a transaction, which may prove useful if you need to address any disputes or queries regarding their respective transactions. Of course, these records may prove useful for more mundane purposes such as calculating company expenses since the company would need written records to be certain that they are making all the calculations properly. This may not seem like such an important function, but it is always vital that official documents of any organization display the organization’s logo prominently. This can serve to make sure that all parties who see the bill understand that it signifies some important company business. Besides that, displaying the company logo can make it more obvious that there is official backing behind the transaction. 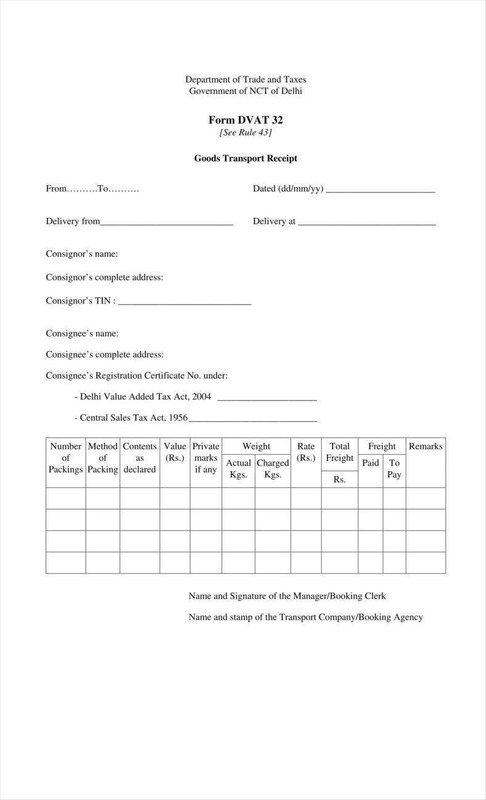 This can serve to assure any authorities that everything is in order regarding the proper transportation of the items. 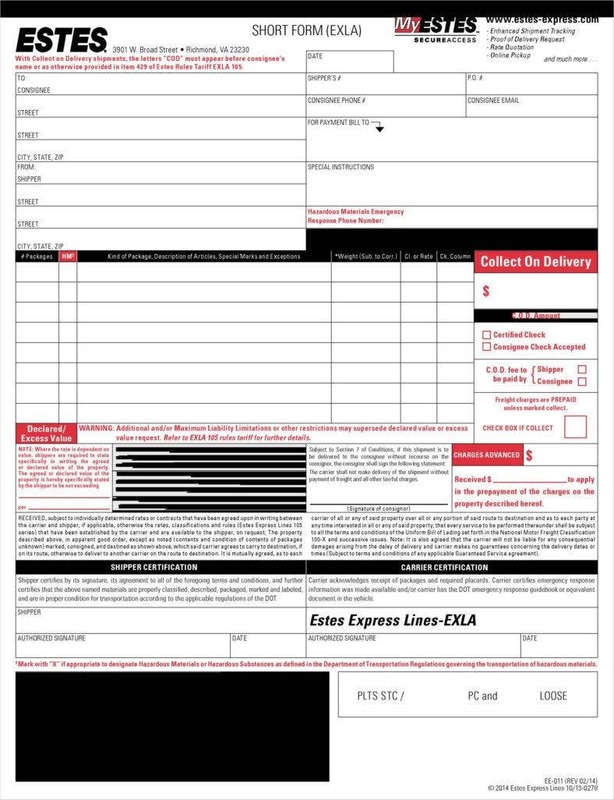 Your recipients can also have an easier time determining the authenticity of the delivery if the logo is displayed. It may also interest you to know exactly which kinds of people can possibly use free bills of lading. After all, there are specific professions that would be well-placed to use these kinds of tools for their work, particularly if the job entails transportation of potentially sensitive products. 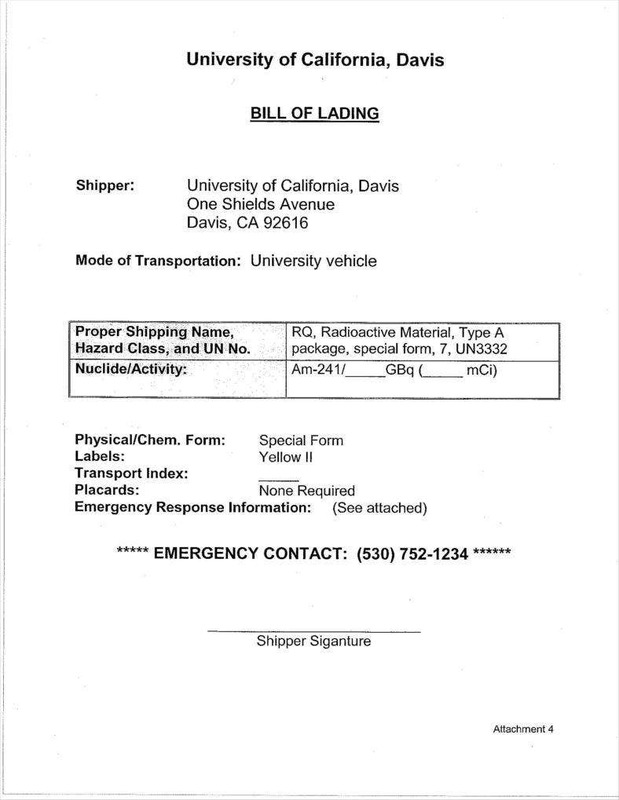 Perhaps the most obvious users of bills of lading are carriers themselves. Delivery personnel would be expected to carry bills of lading with them so that any proper authorities could check and verify the items more efficiently. After all, as the personnel directly responsible for actually moving the items in question, carriers are definitely the most likely persons to need such bills. You can even argue that delivery businesses, in general, can see a need for the templates as it would give them an easy resource for their work. Freight forwarders generally serve as coordinators between all the parties involved in a shipment. While they are not directly involved in transporting goods, they do make the arrangements for carriers to perform the transportation properly. Freight forwarders even have their own bill of lading that they need to issue to exporters which states the goods that need to be transported and how. In that case, it would be prudent for freight forwarders to keep their own bill of lading templates if only to ensure that they can be more effective at performing their job. Suppliers who directly provide other businesses with the items retailers need to sell may also find a use for their own bills of lading that can let them coordinate with their carriers when having their goods moved. This can also work to provide their customers with more assurances concerning whether the goods have been transported properly. After all, suppliers provide goods in bulk, so it would be vital that they have some tools to help them keep track of all of them so that they can continue to stay in business. This is not to say that retailers cannot maintain their own bills of lading, particularly if they provide their goods to customers via delivery. 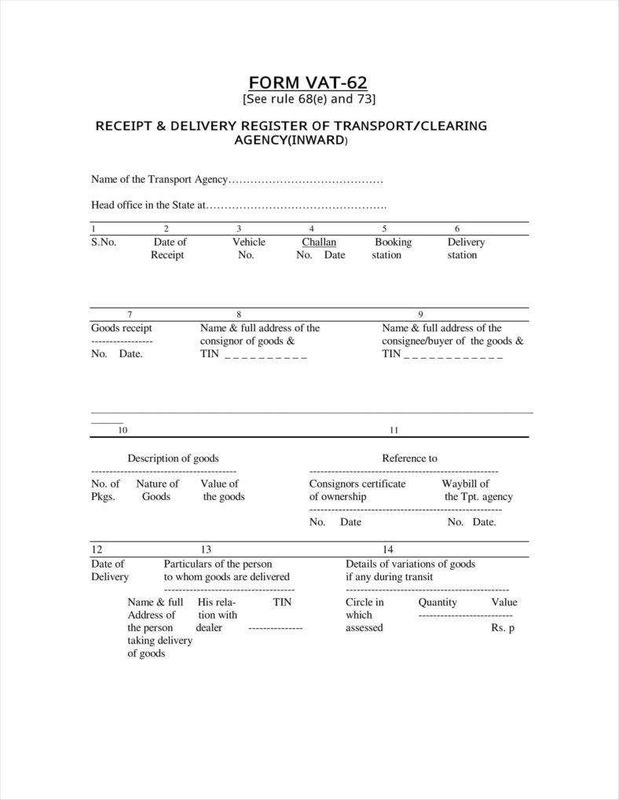 This can work in their favor since bills of lading can serve multiple purposes such as invoices. This would allow retailers to use bills of lading as multi-purpose tools, which could streamline some of their work. Retailers may also want to keep these bills to help keep more accurate records since that is another function that they are capable of. Another thing that may help you if you should ever decide to use bills of lading yourself is to keep certain tips in mind. 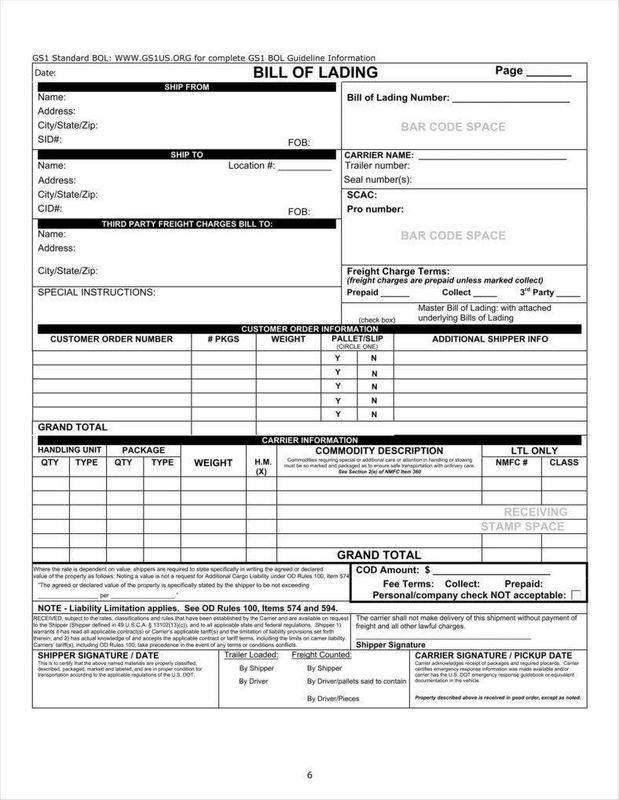 These tips can generally help ensure that you really are making the most of your bill of lading templates and that you are making them properly. Some of these tips might well be applicable in the case of other documents, such as when trying to make your own receipt formats. If so, then you may be able to get even more out of these tips when using any other documents. Make sure to keep a basic template for future use. If you do choose to keep a basic template, it might help to make sure that you keep that template for future use. Since templates can be used and modified for specific transactions it would be prudent to keep that template around so that you can continue to use it in the future. After all, that template should be customizable so that you can fill in new data to suit different orders. 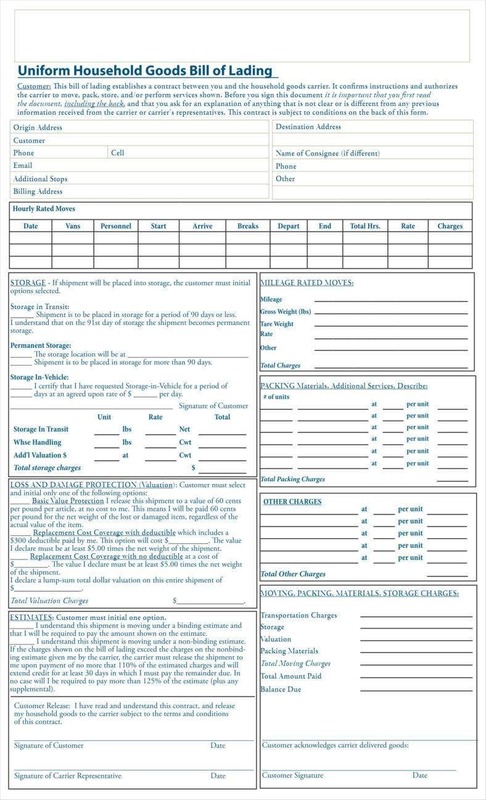 You can even customize your template if you ever decide on a new format for your bills of lading, which should give your templates all the more utility for you. Always be sure to keep multiple copies of each bill. Whenever you finish any transaction you do always need to remember to keep each bill so that you can keep your own record of it. 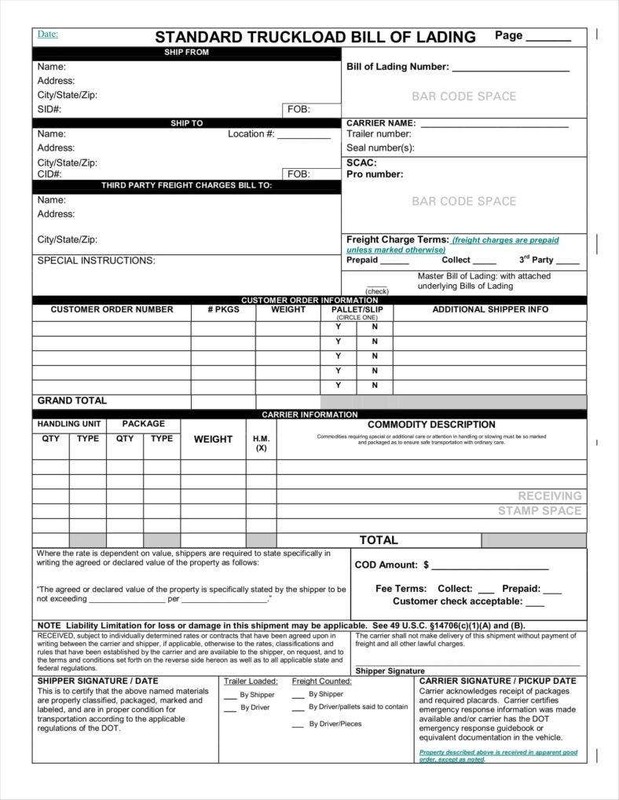 As with other business receipt templates, it is vital that you remember to do so as this would give you a tangible record of the transaction. 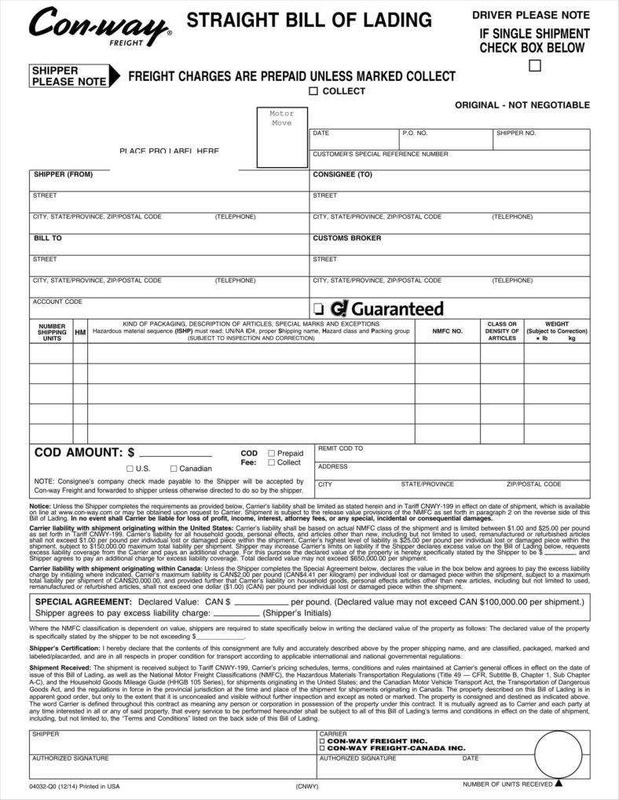 At worst, this can help support your claims in any dispute, but it is more likely that you would need these bills just to be sure of maintaining accurate records. Never forget to include fields to specify each transaction as much as possible. It is a given that each transaction will differ from another, whether in the type of item, quantity, client, and some other quality. As such, you do need to include fields so that you can give yourself an easier time of distinguishing each bill from one another. After all, you would have made the actual bills distinct from one another somehow, which should help you distinguish the bills after you store them. Even if you did make all your bills from the same template, you should take some steps to make them distinct so that you can find them when needed. This also serves to ensure that each bill reflects its associated transaction more completely. Be sure to include a specific number for each bill. Another measure that you can take to make each bill distinct is to give it a unique bill number. 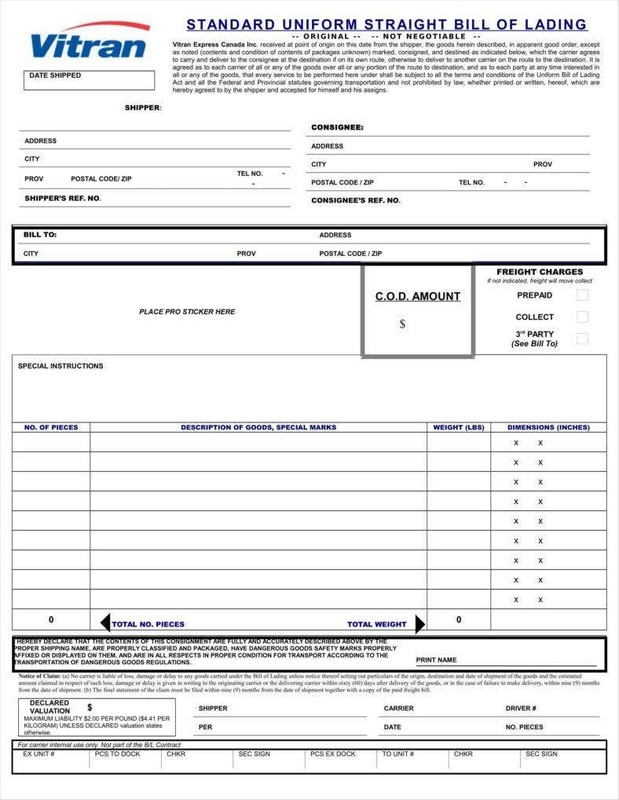 This is a standard action for most bill receipt templates and other document templates. After all, each bill needs to stand out among the others so that you can find them easily if you ever have to find them in the future. Much like having a unique name, ensuring that each bill has a unique number can give it a unique character so that you have an easily distinguished mark in the event you have to locate a specific bill for a given transaction. Make sure that the bills have the company’s logo displayed prominently. 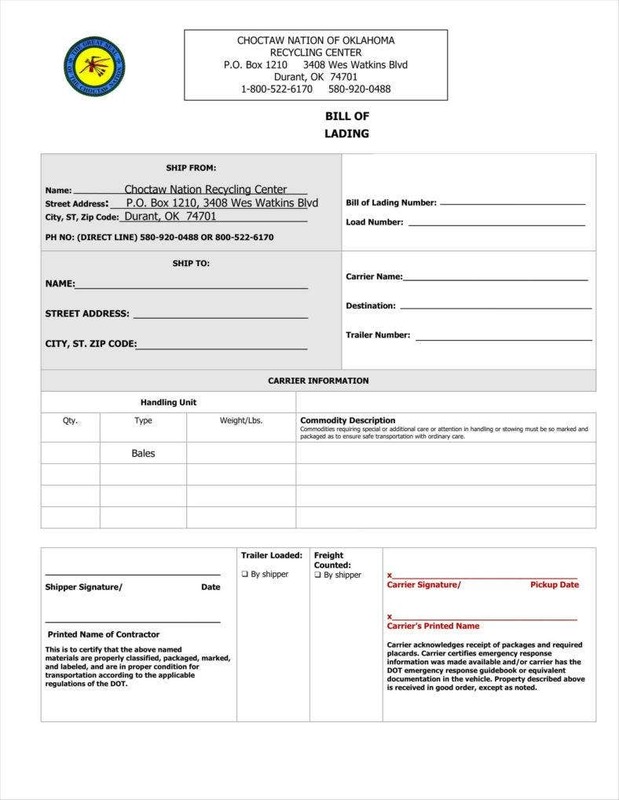 Your bills of lading do also need to have your best company’s logo shown somewhere visible. 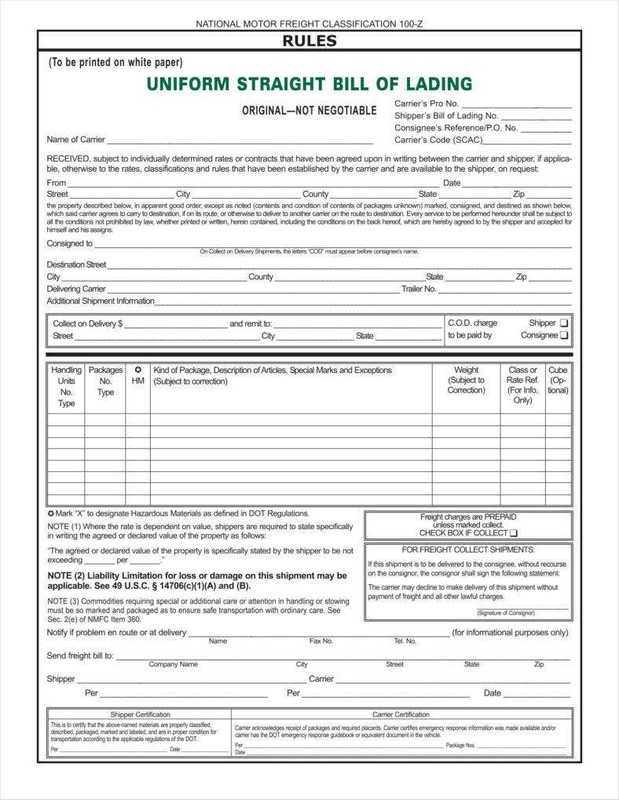 Like a company letter, the bill needs to establish itself as an official document of the company. 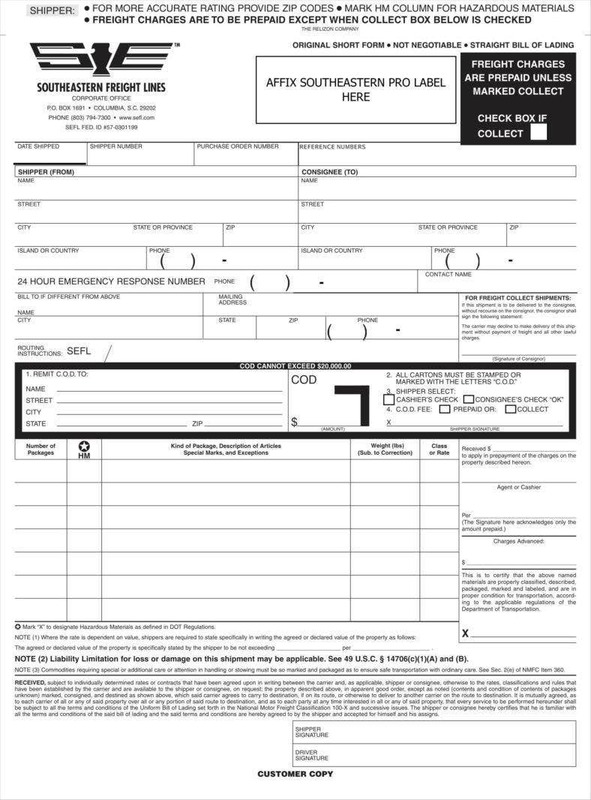 This can be done by making sure to include the company’s logo design to show those who need to verify the document that it is official. 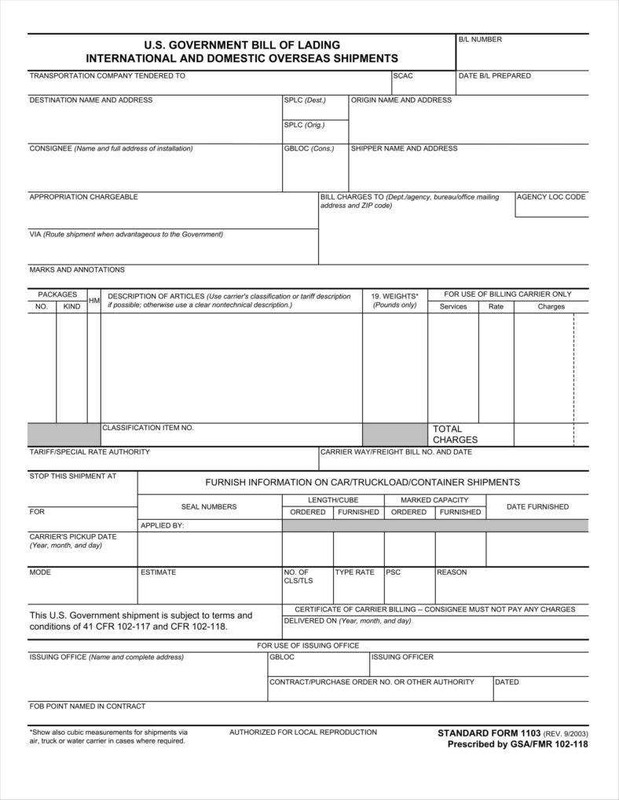 After all, this can serve to confirm that the document and its bearer are on official business for the company. You can make the argument that the logo can serve as shorthand for the company itself; hence, the importance of bearing the company’s symbol. Always include disclaimers to make it easier to confirm the details of the transaction. 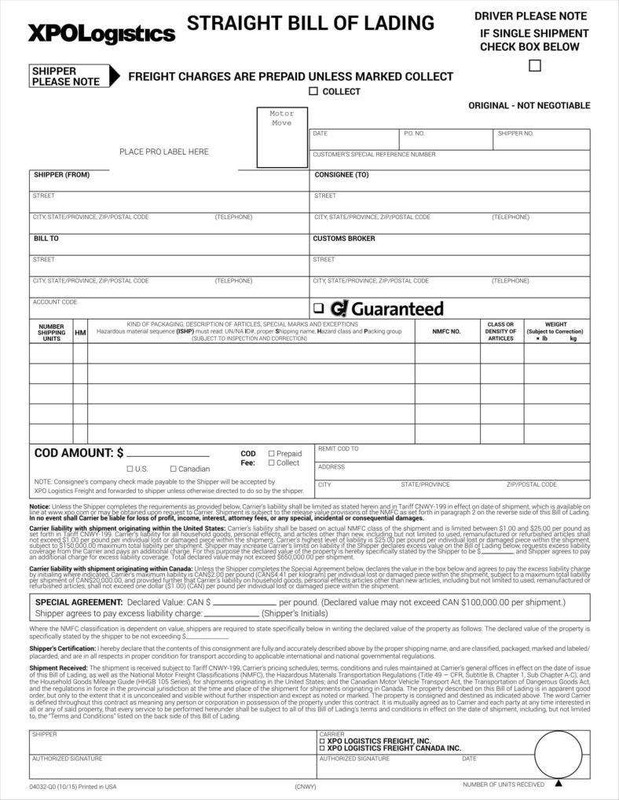 As an additional aid to your clients and carriers, you may want to include disclaimers on your form. This can be helpful for delimiting whose responsibilities are what, especially if you happen to be delivering sensitive items. After all, you would want to include this in order to avoid being charged with anything, particularly if you state beforehand that you bear no responsibility for any damage. 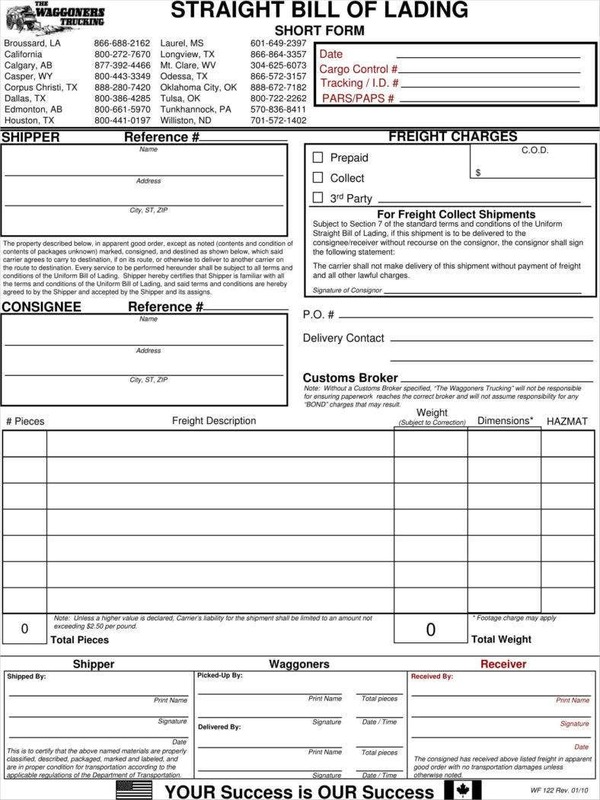 Hopefully, these insights and tips can give you a complete idea of how to use any simple bill of lading templates you may encounter. After all, if you want to improve your work performance, it pays to have greater familiarity with your tools so that you can use them to their fullest.